Clear Language Research Summaries Go National! / Les résumés de recherches en langage clair à l’échelle nationale! Clear Language Research Summaries are designed to remove jargon and create a description of a peer-reviewed discovery that’s easy to understand. Students and personnel from across the University of Guelph will be trained by York University in clear language writing techniques, beginning to write in September 2011. Les résumés de recherche en langage clair ont pour objectif d’éviter le jargon scientifique et de fournir un résumé d’une recherche validée par les pairs qui sera facilement compris. Des étudiants ainsi que des membres du personnel de l’Université de Guelph recevront une formation offerte par l’Université de York sur les technique d’écriture en langage clair. L’écriture débutera en septembre 2011. Two ResearchImpact member universities: University of Guelph and York University, are working together to create 144 clear language research summaries of peer-reviewed journal articles about research happening at the University of Guelph. 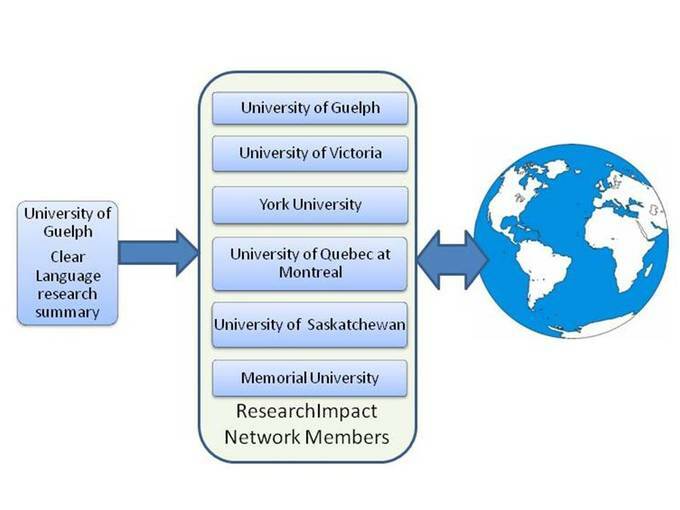 Working with the University of Guelph Atrium digital repository, and ResearchImpact local knowledge brokers, research summaries will then be made available throughout the ResearchImpact network (see figure below), for practitioners and members of the public to read. 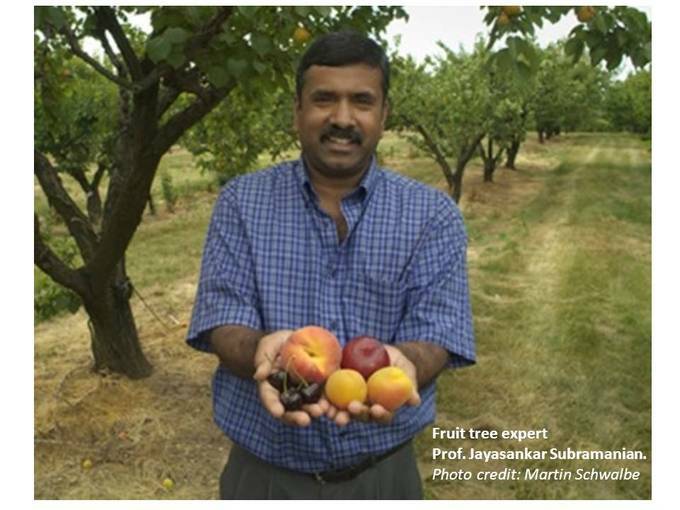 Farmers in British Columbia might be interested in research about the work of tree fruit expert Jayasankar Subramanian. Or the project “Nutraceutical Research on Local Berries in Central Labrador for the Development of New Activities in the Region”, based out of Memorial University, might be looking for a partner at the University of Guelph Vineland Research Station. Profiling published research from across the university and making it accessible throughout a wide dissemination network, will allow ResearchImpact and the Institute for Community Engaged Scholarship to engage further, with more clarity, into what Canadian communities are curious to learn more about. Visit the website, Clear Language Research Summaries: Moving From Peer-Review to Public-View for more information. The project was supported by the Agri-Food and Rural Link, a program of Ontario Ministry of Agriculture, Foods and Rural Affairs. 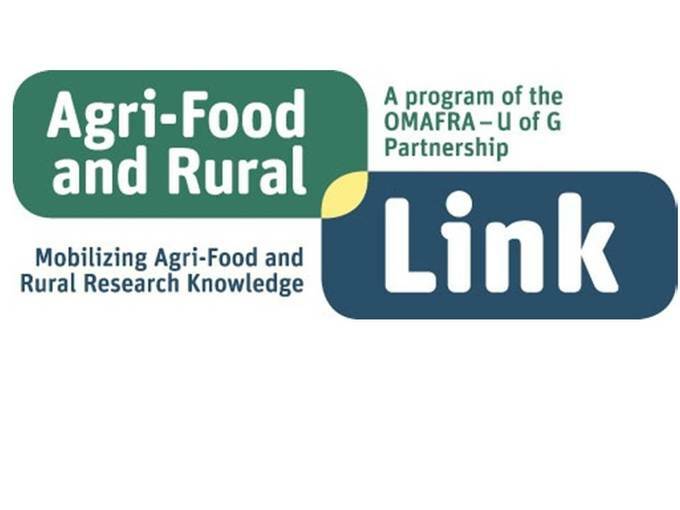 A program of the OMAFRA-U of G Partnership. Please contact Shawna Reibling, Knowledge Mobilization Coordinator at the Institute for Community Engaged Scholarship for more information. Congratulations! This is great work.